After five decades as sidekicks, secondary characters and niche titles, the black superhero’s time has finally come. Next month Marvel releases its eagerly awaited Black Panther movie, centered on a young African king who doubles as a clawed, catsuit-clad crime fighter. 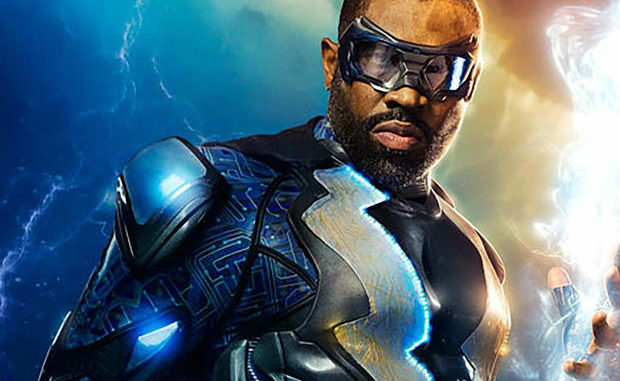 Last week CW and Netflix unveiled Black Lightning, an African-American educator with electrical superpowers. Add in Netflix’s Luke Cage and that’s three African-American-led superhero titles in 18 months – a situation previously unimaginable. The timing could not be better in terms of US race relations, which are more charged now than they have been in generations. Recent developments could be seen as having paved the way: the Black Lives Matter movement, debates over representation sparked by the #OscarSoWhite debacle, the resurgence of white nationalism and institutional racism resulting from Donald Trump’s presidency. The superhero market is Hollywood’s primary earner: in the US alone, superhero movies earned more than $2 billion in 2017. After a decade of titles led by white males, however, studios are aware that viewer fatigue could burst the bubble. They are constantly looking for new ways to reinvigorate the genre and, mindful of their global audience, attract viewers of all colors. Last year’s Wonder Woman movie proved that a female-led superhero title is now a viable option; this year looks set to do the same for black superheroes. But questions remain about how “political” mainstream audiences want their comic book entertainment to be. Black Lightning, which began last week, overtly addresses the racial climate. In its opening minutes, the first episode sketches out a landscape of gang violence, institutional racism and street protests, quotes Martin Luther King and fellow civil rights activist Fannie Lou Hamer, name checks Harriet Tubman, and plays Billie Holliday’s protest song Strange Fruit. Its hero, Jefferson Pierce, played by Cress Williams, has the power to control electricity and shoot lightning bolts from his hands, but when the story begins he is in retirement as a school principal in the fictional city of Freeland. In an intense early scene, Pierce’s car is pulled over by white cops as he drives home with his two daughters. As they train their guns on him, and give no reason, his eyes begin to glow blue as his rage builds and his powers charge up. When those daughters are abducted by a local gang – led by an albino African-American kingpin – Pierce steps back into costume. Luke Cage, whose Netflix series began in September 2016, also reluctantly brings his superpowers to bear on the organized African-American crime ripping his Harlem community apart. It operates at a blaxploitation-filtered remove from the present day, but still addresses issues of politics, racism and African-American history. Cage, played by Mike Colter, begins its second season later this year. Black Panther is a more fantastical prospect, but no less significant a cultural moment. 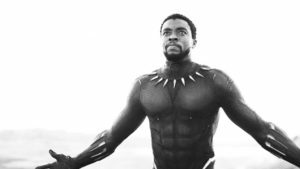 Expensive, action-packed and effects-heavy, it is led by black talent, including director Ryan Coogler and actors Chadwick Boseman, Michael B Jordan and Lupita Nyong’o. The story’s fictional setting of Wakanda is a prosperous, technologically advanced African nation – a marked contrast to previous, stereotypical depictions of the continent. Regardless of the motivations, Black Panther, Black Lightning and Luke Cage suggest that comic-book movies can continue to function as a form of global diversity-awareness training. Certainly there is more work to be done. Asian and Latino heroes are still extremely thin on the ground, as are female superheroes. Wonder Woman and Jessica Jones remain the only top-billed movie super heroines. The next hurdle would be a black female superhero. With that in mind, it is significant that Black Lightning’s two daughters possess superpowers of their own, as could Luke Cage’s accomplice Misty Knight and Black Panther’s younger sister, Shuri. The ground is already being prepared.